Good morning! Thanks for joining me, Coco and Lynda for the March Ultimate Coffee Date. These are some of my favorite posts to read and write so lets get right to it! 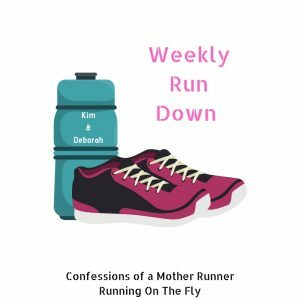 If we were having coffee today, I would tell you…I am feeling a lot more confident about building up my running miles in preparation for the Cherry Blossom 10 miler. I was really worried about hurting myself again and kind of felt like it was my cursed race. I had to drop out the last 2 years due to injury. Now that the race is 4 weeks away, I think I am going to make it. (Says while knocking on wood). So I am off to meet these mamas for my weekend long run. If we were having coffee today, I would tell you…My mom is taking me away for a girls weekend to Canyon Ranch Spa in Lenox, Mass in a few weeks. I am so excited! 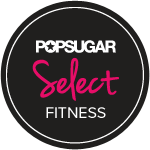 I am looking forward to checking out some new fitness classes, sleeping some more, pampering ourselves in the spa and having fun hanging out with my mom. Funny story, my grandmother took me there 25 years ago and Yoko Ono was in our yoga class! LOl I did not know who she was either. The best part about blogging of course has been “meeting” so many inspiring and supportive people. Thank you all for reading and connecting with me the past 2 years! If we were having coffee, I would tell you…I just love all of the new colorful prints from the spring Skirt Sports collection. Looks like our weather is warming up next week and I will be sporting this little cutie all around. (Gym girl ultra in Psych) You can use my code: CMR20 for 20% shop away! If we were having coffee, what would you tell me? How many cups of coffee do you drink a day? So happy you are injury free ! Yeah. I love your blog, you are always so positive, upbeat and inspiring, keep it up ! Have a wonderful time at the spa, I had my nails done yesterday and it is always so much fun to pamper ourselves ! No coffee at all! Only tea. Ok, when will you be in Lenox? It’s only a bit over an hour from here! Please don’t say the weekend of the 26th, please, please (my dad’s birthday weekend). I would love to go to canyon ranch, but it’s a little out of my price range. I think I need to order something in psyched — despite the fact I have a big order coming soon. So many cool prints & I want them all! Congratulations on two years of blogging! I actually think your fail food picture looks very appetizing. The spa sounds like a wonderful treat with your Mom. You’ll be awesome at the 10 miler. Your injury is in the past and you can take this opportunity to rock that race and it all behind you. Thanks for the linkup. Thanks! I am really excited for the weekend with my mom and taking all those classes. I am nervous and excited for the cherry blossom race. Yeah. .knocked on wood…you will continue to be healthy and rock the CB10! Wow. .what an awesome trip you will have. ..enjoy! ! 2 years! !! Congrats…this month my blog will turn 1! I spa trip sounds like heaven! Jealous! I hope you enjoy it! Congrats on 2 years 🙂 We have all come a log way! I have a trail run this morning- so I hope I stay on my feet! Thanks for coffee ! On weekdays I usually have 2 cups at home and then at least one more cup at the office. On weekends, I usually have 2-3 cups. I brew 1/2 decaf, if that makes it less bad? 1/2 decaf I don’t know seems like a waste of energy 🙂 Good luck tomorrow! Happy Blogoversary! Your food photos are AMAZING! I still struggle with those…I’m much more of a landscape girl. That’s so exciting about your trip to Canyon Ranch Spa. I’ve really appreciated getting to know you through blogging. I wish I would have done so when I still lived in NoVa!! Have a great weekend and Happy March! I know too bad we never met IRL when you lived here! Good morning! I am a one (giant) cup a day kind of gal. I guess in normal cup terms it would probably be like 3, but hey, who’s counting 😉 Congrats on your blogaversary!! Blogging can be such a great outlet for sharing, venting, learning and more. I really like how I’ve learned so much from so many strong women who take the time to share their lives and knowledge. Oh the Canyon Ranch, I have always wanted to visit one of their spas. Congrats on the two years blogging Deborah, you have a great one here. Your running is spot on, I am sure you will be fine. Have a great weekend. Thanks Lynda and I have enjoyed connecting with you the past few years. That skirt pattern is really cute! Good luck with the next 4 weeks – finger crossed for you! Thanks so much I am excited about the race! Happy blogiversary! I have really enjoyed following your journey. I have my eye on the new Skirt Sport spring prints. I think I need a skirt for yoga…branch out a little from black capris. OH yes branching out is good! I have enjoyed connecting with you too the last few years and watching all of your great yoga poses. I am sending well wishes for your run, which you’ve more than likely already finished this morning! It’s the thought right? I do hope you don’t have any problems at all. I so love all the skirt sport prints too, they are so colorful and fun! Wow 2 years old, happy bloviversary to you, how will you celebrate Deborah? How many cup of coffee do I have? Only 1.5 usually, course we are talking one of the tall yeti tumblers? Does that count? Enjoy your weekend lady! Thanks the run was good. I am feeling much more confident and hope these next few weeks to just hold onto it. They do have some great new colors out I am excited for spring. Yeah congrats on 2 years!! I still need to work on my photography skills but I have always said that I am not a food blogger– just a girl with her iPhone who loves to eat. Happy Saturday and have a great weekend. 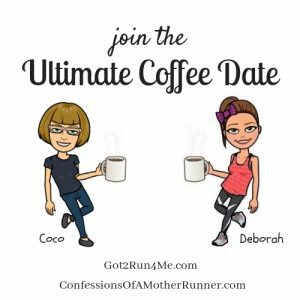 Laura@Fit Running Mama recently posted…Catching Up on Life with Coffee!! I’ve improved a lot on the food pics but wow sometimes I can make something that looks so good and just does not photograph well. I’m jealous of you doing the Cherry Blossom run and the weekend away with your mom…. If we were having coffee, I’d tell you that I’m excited to be visiting my sister in NYC for a week towards the end of March… and that I am anxiously waiting for March 8th to see if I get lucky and make it into the nyc marathon lottery. Thanks so much and yes I am so excited for the spa trip! Happy 2nd blogiversary!!! Time flies, doesn’t it? That oatmeal bake looks delicious! Building running confidence after injury is difficult isn’t it! I had an injury last year which had me out for a while and it was just before I had a half last year. After getting back into running, I was so cautious of overdoing anything for fear that it would come back! Glad you’ve managed to stay injury free, good luck with the rest of training. That’s exactly how I feel! I keep thinking every little twinge will be another injury. Happy blogaversary!!! I love your blog :). I have that same skirt enroute to me now. I will stalking the mailbox!! I love coffee… I have at least 3 cups a day!! Thanks! I know the skirt is so cute and I am hoping it will be warm enough to wear it this week. I have about 3 cups a day too-but who’s counting right? I have to tell you how great it is to see you running again! I am really happy with my running. I’ve been really consistent the past few months but was almost afraid to post about it because I thought I would jinx it. For now the PF is cooperating with me. Hope yours is too! I drink so much coffee…sometimes 2-4 cups a day! Morning and night- for some reason it doesn’t prevent me from sleeping at all! I’m sure you will be fine for your 10 miler! That’s one distance I wish was a little more prevalent in my area-the only one I found this season is in conflict with another event I’m going to. And I love the skirt sports new prints! I think my next order will be tanks though- I’m in need of some more shirts. Super cute skirt! I only have one running skirt and I don’t wear it much. Maybe I’ll have to dig it out with this nice weather! Well, I’ve had two cups of coffee today. But I can usually survive on one. If we were having coffee, I’d tell you that I’m exhausted with my new baby, but that I’m also thankful for my husband and all the help he offers. I would tell you I’m borderline obsessed with Instagram as it seems like my only escape from the house and that I also may need an intervention when it comes to shopping on Etsy. Congratulations on your blogiversary! It’s been great getting to know you through your blog! And it’s so funny to look back at the early entries and see how far we’ve come! I went to Lenox Canyon Ranch a few years ago in an April, too. I love it but it was spring break and there were a few sullen teens there that I wanted to punch. I mean it took me 40 years to afford it and they clearly did not appreciate it! May your trip be teen free! Erica @ Erica Finds recently posted…Grab a Cup – March Ultimate Coffee Date! The girls weekend at the spa sounds like it will be a lot of fun! I know I am so excited! 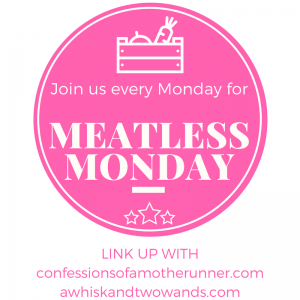 Just stumbled upon this link-up & love it! I will have to get it together for April & join in 🙂 Glad to hear your running is going well & how fun to spend a weekend with your Mom! I do love the picture of the Blueberry Banana Oatmeal Bake too!! All great stuff! I have wanted to go to Canyon Ranch forever. You’re going to have such a great time. The print on that skirt is so cute. I just ordered some new Mizuno tights with a wild print.